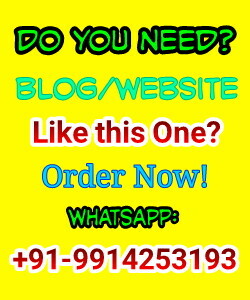 After writing on how to secure computer and laptop's from viruses and malware, today I am going to update a post on security of smartphones and tablet PC's which we get from one of our Guest bloggers. As the mobile technology world is moving towards customization and improvements, risks to malware, hacks and data infringement is also increasing. How to protect your smartphone device in this scenario?? Android operating system was targeted by 99% of malwares in 2013, as per the Cisco’s annual security report. While new, exciting apps and games are emerging, is it easy to fight attack on security control? Is your personal data going to fall in suspicious hands? 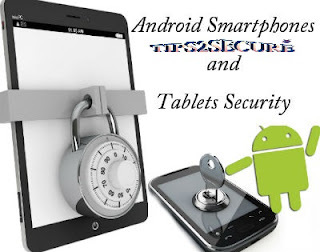 Here are tips to ensure security in your Android device, while still unrestricting the pleasures a tech-savy person would like to engage in on their smartphones. Google Play Store is one of the most popular platforms from where people download applications. Although the security is stringent here, some third party app store sources may be distributing apps that are unofficial or different than the original versions. Fake version of popular game apps like Angry Birds, Candy Crush etc are flocking here. To keep a check on such dubious apps, Google the app’s title and visit the developer’s website to confirm if it is an original model or not. The reviews on the app are also helpful. If a greater number of users are talking negative about the app, then something may be amiss. When trying to install the app, keep an eye on the permission it is asking for download. If you notice something improper, then it is best to leave that app out. Every smartphone device comes with the facility of screen look. It may be pin or pattern draw based. However, setting a screen look is one of the most basic and very important step for securing Android smartphones & tablets. You can set such passwords and locks for desired apps. If someone else wants to access these apps on your phone, they will have to pass the security check by entering the accurate password. If they do not know the unlocking pass code, they cannot access the apps. Picture password is mostly commonly utilized. It allows you to draw lines, points and circles or image as security setter. Touch ID calculates the thumb pressure for sometimes, before unlocking the device. It is the least preferred screen lock mode. Fingerprint scanner assesses the fingerprint impression and ERGO scans the ear. Hold the device to your ear and it will unlock, if the code matches. There are many sites that try to get access to personal data like details of credit/debit cards etc. via emails or text messages. Te risk extends not only to personal computer, but also Android smartphones. Never tap on a link in text message, if an unknown source has sent you the same. Even if it seems like your network provider or a company has sent you a link or an offer, it is worth to not experiment with it until you countercheck of its reliability. Especially the voting polls, free recharge offers, discount on purchase or lottery and bonanza money offers could be far away from being genuine. You must simply block such senders from contact list, or report them as spam, if you are sure these are up to no good. A feedback from you will certainly help others who may be of data phishing. Hike security system for your smartphone by installing anti-virus software. Look for the one that has most integrated and wide ranged facility. For e.g. scan for the whole device, memory clean up, cache cleaner, scan for malware, check for secured apps, information on phishing, memory boost, app lock function, block spammers etc. You can also install one for tablets devices. Again be very careful as to which anti-virus check you select, as there are several fraudulent models circulating at app stores as well. Some of the reliable anti-virus software providers are AVAST Software's Mobile Security & Antivirus, Bitdefender's Mobile Security & Antivirus, Trend Micro’s Lookout Security & Antivirus, McAfee Antivirus & Security, Norton Security antivirus, Kaspersky Internet Security etc. If you do not wish the device to slow down, do not install too many anti-virus software apps. Message: I hope that you have enjoyed 'Android Smartphones and Tablets: Tips for Security and Malware Prevention' article. However, if you want me to deliver more articles then please share my post. You can use Social Sharing Widget provided at the end of every post. After all, Sharing is Caring!.